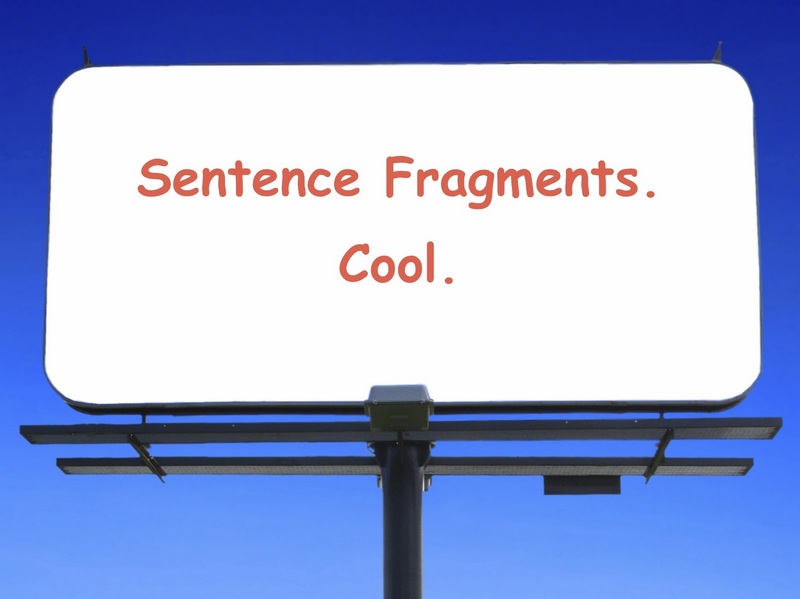 A sentence fragment occurs when a dependent clause is treated as a complete sentence. An independent clause is a group of words containing a subject and a verb and which expresses a complete thought. An independent clause is a sentence e.g. The school board hired five new teachers this year. A dependent clause is a group of words that contains a subject and a verb but does not express a complete thought. A dependent clause cannot be a sentence e.g. Although the school board hired five new teachers this year. The addition of the dependent clause marker although means that something else is required to complete the sentence. e.g. Although the school board hired five new teachers this year, the classes are still overcrowded. Although the school board hired five new teachers. The classes are still overcrowded. Other dependent clause markers are: after, when, unless, before, if, as, whether, in order to and while. A run-on sentence occurs when one sentence follows another without punctuation. The visibility was low on the motorway the number of collisions was high. The visibility was low. The number of collisions was high. If the ideas are closely linked, you can add a semi-colon. The visibility was low; the number of collisions was high. The visibility was low and the number of collisions was high. A comma splice is when two sentences are connected with a comma rather than a full stop. The music festival was a great success, the organisers made a lot of money. 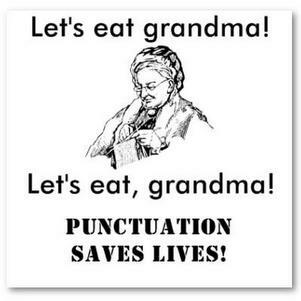 The best way to avoid a comma splice is to put a full stop (or a semi colon) between the two sentences. The music festival was a great success. The organisers made a lot of money. Another way is to join the two clauses with a conjunction. The music festival was a great success and the organisers made a lot of money. Look at the fragments that follow. State which type of error created each fragment : 1, 2 or 3. Read the following word groups. If a word group is a complete sentence, write S in the space provided. If it is a fragment, write F and add or delete words to make it into a complete sentence. Repulse Bay, one of the most desirable locations in Hong Kong. F Repulse Bay, one of the most desirable places in Hong Kong, has seen a rise in property prices. Cable TV earns US$60 million a year from football broadcasts. Repair the following run-on sentences by (1) adding a comma and a coordinating conjunction (for, and, nor, but, or, yet, so) (2) adding a full stop, or (3) adding a semi-colon. A woman died four people were injured in a car pile-up yesterday. The bank wanted to attract new customers it offered free gifts. It’s disappointing the rain stopped people turning up for the charity event. The boy was jailed for unruly behavior the charge was dropped due to his age. Only licensed doctors can open clinics this will prevent accidents during cosmetic surgery. At first, the children were afraid to go into the sea after a while they were jumping in the waves. The earrings were made of gold they also had inset diamonds. The toddler was overweight his mother kept giving him sugary treats. In the drop-down list boxes below the paragraph, select S if the sentence is correct, R for a run-on sentence, C for a comma splice and F for a fragment. Now rewrite the paragraph using grammatically correct sentences. Compare your writing with the suggested version. When I was 5 years old, my parents took me to the sands near our house it was a hot summer’s afternoon and my mother had prepared a picnic as it was a public holiday. The beach was crowded that day, each family group made a little ‘camp’ where they could spread out their towels and lay down their food. My father had rented 2 deckchairs. So that he and my mum could sit in comfort. I was sitting on the sand. I remember running my hand down the smooth wood of the deckchair, suddenly I screamed in pain when something ‘bit’ me. It was not an insect it was the deckchair itself that had attacked me. The palm of my hand was full of splinters. I screamed and screamed as there were dozens of tiny pieces of wood embedded in my skin. Which was now inflamed. My father picked me up and ran with me to the hospital he told me not to touch my hand. I remember waiting in the casualty department for ages before the doctor saw me. The doctor had a special tool to individually extract each splinter from my hand, which was very sore, it was a long time before I ever touched a piece of wood again.